leafy vines, are her signature. 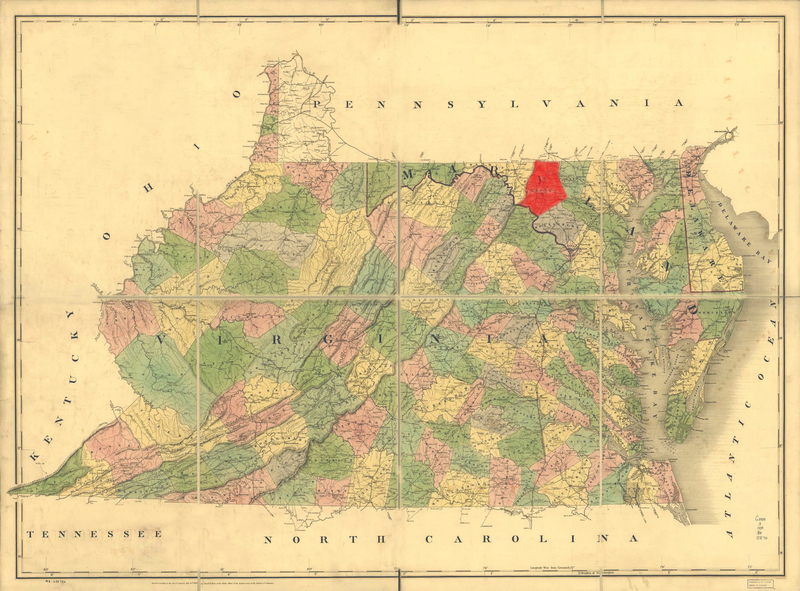 She also uses the sawtooth border common to this region. 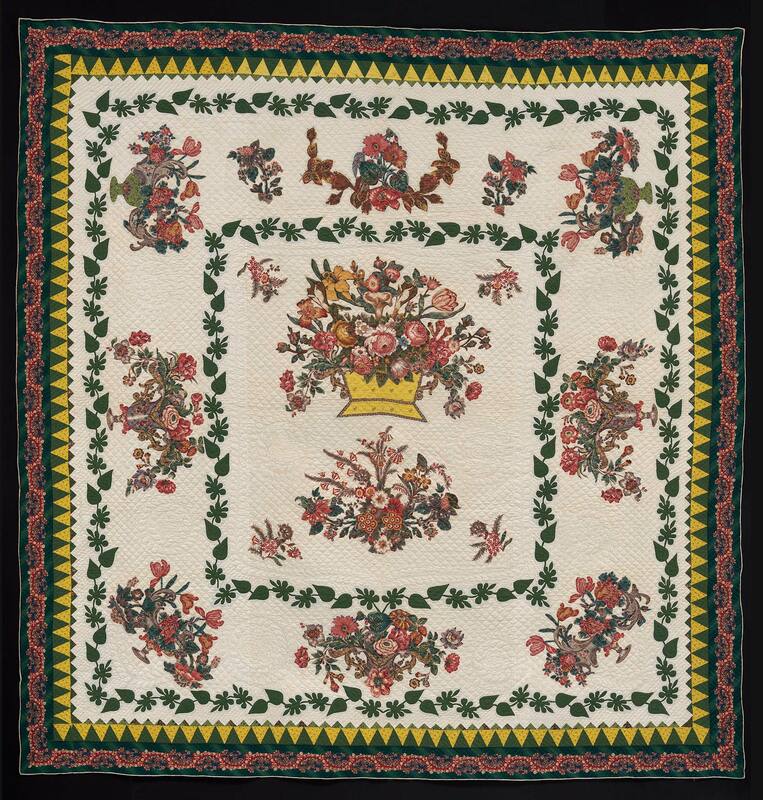 John Hanshew Markey, son of Garnhart’s son David, received this quilt from his grandmother and passed it down through the generations. 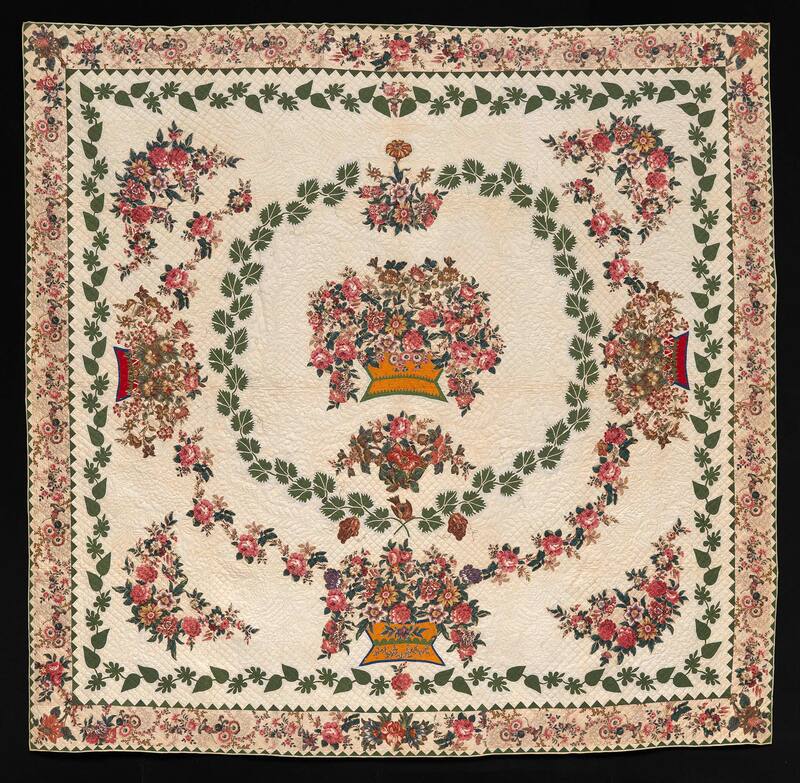 It is inscribed 1849, presumably the date the quilt was finished and presented to John, who was born in 1835. 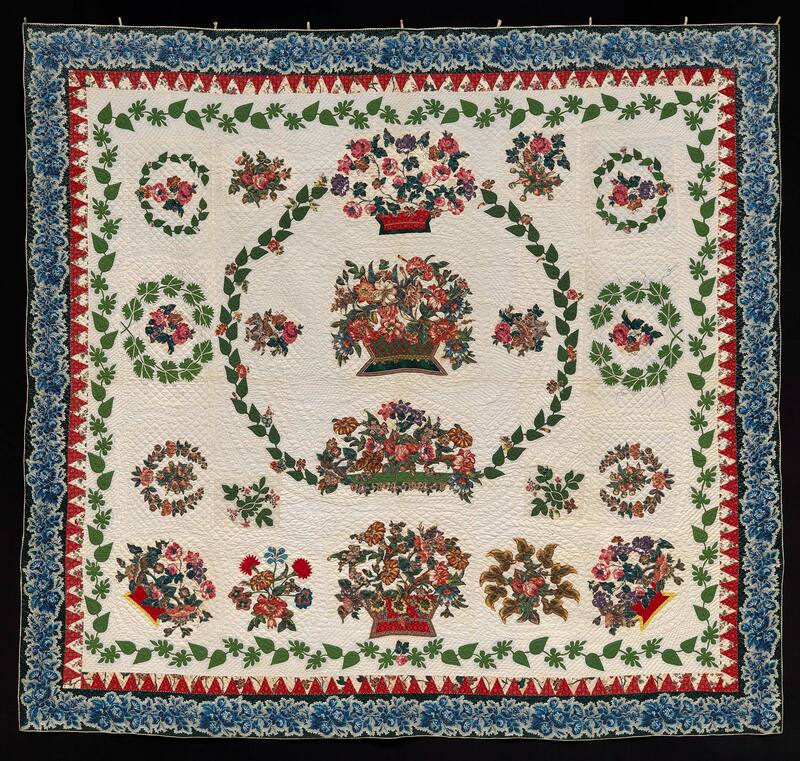 Catharine assembled her floral bouquets by combining elements from several block-printed chintzes. Note how the bouquets in the bottom row are made from either a top or bottom half of the larger vases, with different flowers added.